Bacteriocins are being used as new food biopreservative agents. In general, bacteriocins produced by Gram-positive bacteria are active against other Gram-positive. Basically, the same principle applies to those produced by Gram-negative bacteria. They have a restricted spectrum of action against related bacteria to those that produce the bacteriocin. Therefore, other hurdles or chemical preservatives are necessary to apply to broaden the spectrum of action of bacteriocins in foods. 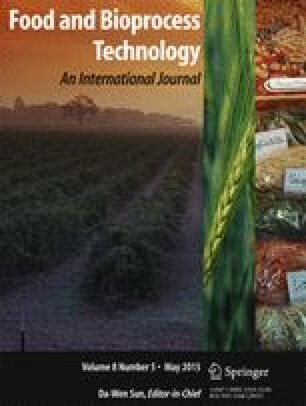 This is a further and deeper study of the possible application of the hybrid wide-spectrum bacteriocin named Ent35-MccV in food. Its antimicrobial activity was assayed in skim milk and patties as food models against Listeria monocytogenes and Escherichia coli. The influence of the temperature and digestive proteases on its biological activity and its antimicrobial activity was tested in vitro on a variety of pathogenic and food spoilage bacteria. The results showed that Ent35-MccV could inhibit the growth of both the Gram-positive L. monocytogenes and the Gram-negative E. coli in model food, and its activity was not affected by heating conditions including autoclaving. E. coli strains and Listeria spp. are the most affected bacteria, but Ent35-MccV showed antimicrobial activity against some strain of Salmonella spp., Staphylococcus epidermidis, Enterobacter aerogenes, Morganella morgani, Proteus mirabilis, Shigella boydii, Shigella flexneri, and Shigella sonnei. Financial support was provided by Grants PIP 0779 from CONICET, PICT 2998 from the Agencia Nacional de Promoción Científica y Tecnológica ANPCyT, and PIUNT D548/1 from UNT. This work was also funded by the project 10PXIB261045PR from Xunta de Galicia and by the project AGL2010-19646 from the Spanish Ministry of Science and Technology. The work of L. Acuña is supported by CONICET and USC-Santander fellowships. N. Corbalan is recipient of a CONICET fellowship. The work of I.C. Fernandez was supported by a “Lucas Labrada” research contract from Xunta de Galicia. The authors thank Carlos Franco and José M. Miranda for providing generously the E. coli, Salmonella spp., and L. monocytogenes food isolates. Castellano, P., Belfiore, C., & Vignolo, G. (2011). Combination of bioprotective cultures with EDTA to reduce Escherichia coli O157:H7 in frozen ground-beef patties. Food Control, 22(8), 1461–1465. doi: 10.1016/j.foodcont.2011.02.018. Delmore, J.R. (2009). Beef Shelf-life. http://www.beefresearch.org/cmdocs/beefresearch/pe/beef_shelf_life.pdf. Accessed 15 Dec 2014. Li, D., Liu, X., & Gao, Y. (2014). Synergistic Effects of sakacin C2 in combination with food preservatives. In T.-C. Zhang, P. Ouyang, S. Kaplan, & B. Skarnes (Eds. ), Proceedings of the 2012 International Conference on Applied Biotechnology (ICAB 2012) (pp. 455–464). Springer Berlin Heidelberg. http://link.springer.com/chapter/10.1007/978-3-642-37916-1_47. Turner, M. (2011). Microbe outbreak panics Europe. Nature News, 474(7350), 137–137. doi: 10.1038/474137a. WHO. (2011). A Public Health Review of the enterohaemorrhagic Escherichia coli outbreak in Germany. http://www.euro.who.int/en/health-topics/disease-prevention/food-safety/publications/2011/a-public-health-review-of-the-enterohaemorrhagic-escherichia-coli-outbreak-in-germany. Accessed 25 Feb 2014. WHO/FAO. (n.d.). CODEX Alimentarius: Standards. http://www.codexalimentarius.org/standards/en/. Accessed 4 Apr 2014.